This is a public art and infrastructure project, designed by Caryn Brause AIA and Joseph Krupczynski of the Center for Design Engagement, transforms a key gateway between downtown Holyoke and an adjacent residential neighborhood into a safe, inviting, and creative attraction. 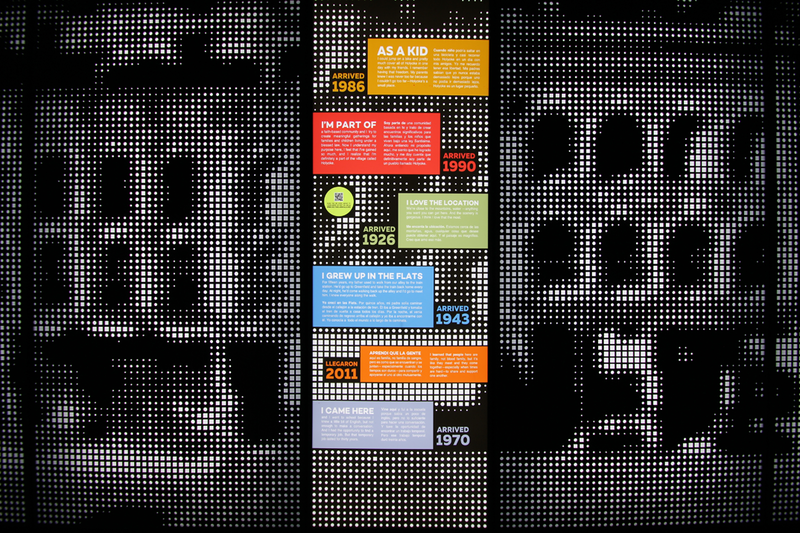 The project won an open public competition sponsored by the City of Holyoke. For over 150 years, people from Ireland, Canada, Italy, Germany, Poland and Puerto Rico have flocked to the “Paper City” to create a better life for themselves and their families; with each successive wave of immigrants, these new inhabitants have redefined Holyoke. 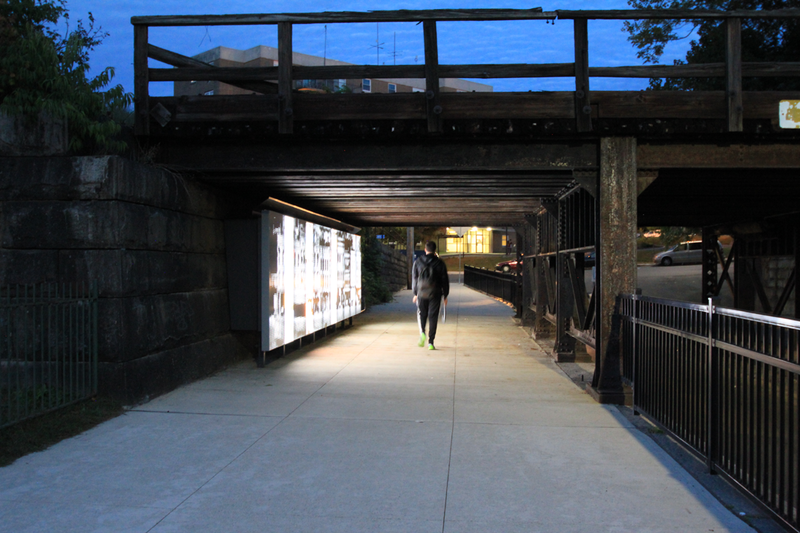 The project’s intention is to contrast the singular image of the city with the multiple voices of residents’ arrival stories to capture Holyoke’s rich immigrant experience. 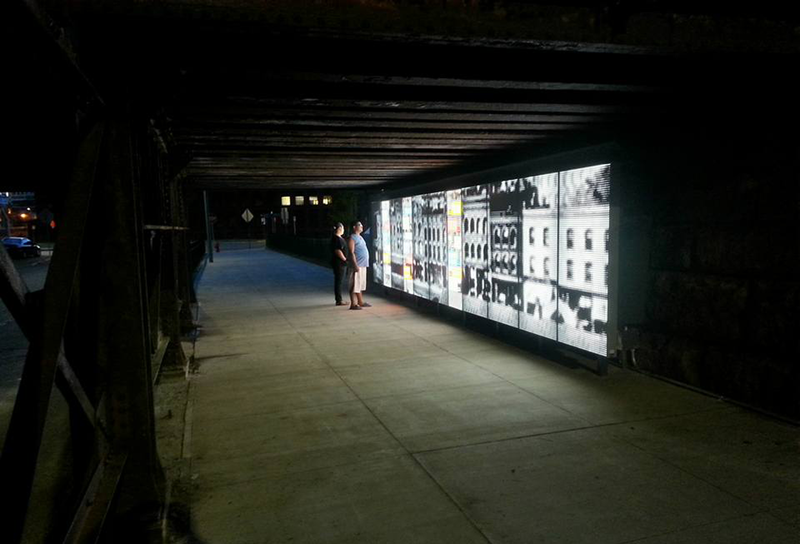 The work seeks not only to beautify the underpass, but also to use art as a means to connect the aesthetic, historic, social and everyday perceptions of public art and life.